A copy of this book was provided for review by the publisher. This review contains spoilers for those who have not read The Goddess Test and Goddess Interrupted, while those who have read the previous books in the series have nothing to fear. For millennia we’ve caught only glimpses of the lives and loves of the gods and goddesses on Olympus. Now Aimée Carter pulls back the curtain on how they became the powerful, petty, loving and dangerous immortals that Kate Winters knows. Calliope/Hera represented constancy and yet had a husband who never matched her faithfulness …. Ava/Aphrodite was the goddess of love and yet commitment was a totally different deal …. Persephone was urged to marry one man, yet longed for another …. James/Hermes loved to make trouble for others-but never knew true loss before …. Henry/Hades’s solitary existence had grown too wearisome to continue. But meeting Kate Winters gave him a new hope …. 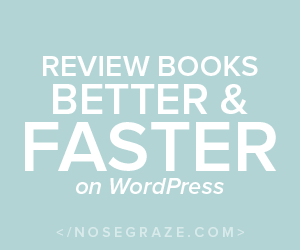 A wonderful collection of novellas that together tell the story of the Greek immortals from their original defeat of the Titans to a few years after Kate’s birth. The stories begin with Hera, who doesn’t want to be defined by her relationship with a man and wants to be recognised as a Queen in her own right. Her betrayal by Zeus and the horrible way he treats her made me very sad, and I began to understand why she is so bitter. The story continues with Aphrodite, who can’t deny her nature and while Zeus forces all his offspring to form marriage alliances, searches for love in all the wrong places. Again we can see Zeus’s controlling and manipulative nature, and I hated him even more. Persephone’s heart breaking story of her marriage with Henry is probably the most enlightening of the stories, and while I sympathised with her I couldn’t really bring myself to like her very much. Most of this stems from her callous betrayal of Henry, but when she is in turn betrayed, she gets all ‘woe is me’ about it. Then comes Hermes’ story of redemption as he tries to undo all the hurt that Persephone caused the council after her death – which I found I couldn’t really connect with but I can’t tell you why. Maybe my lingering feelings of resentment towards him coloured that one! The final story is about Henry, his wish to fade and the subsequent decision by the council that he keep looking for a partner for a century. I love Ingrid – she is awesome!! It was so sad seeing Henry get more and more bitter, locking the hurt deeper inside himself each time one of the candidates died. When Kate came along it was like this little ray of sunshine for him, and I loved that. This story also finally gives us a glimpse into how Henry thinks and how he shows affection, which was nice. I loved this book and am glad I had the opportunity to read it. 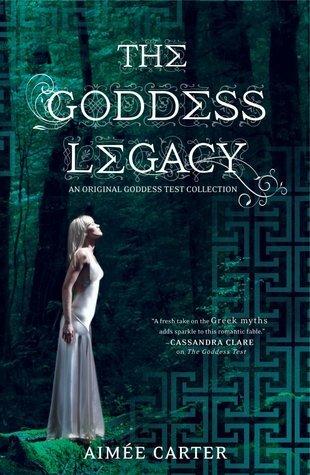 It not only deftly chronicles everything that I, as a reader, had wondered about when reading the two Goddess Test novels, but gives us a look into the real nature of the Greek immortals and makes us realise how slowly things change for them and how resistant they are to those changes. Awesome stuff, hopefully it will tide me over until the release of The Goddess Inheritance.